Once upon a time there was a man who was walking down the street and suddenly he tripped and fell flat on his face. He got up, brushed himself off turned around and lo and behold, it was a mountain behind me that somehow he had tripped over. Now I know that sounds pretty silly because no one trips over mountains. What we do trip over is pebbles. 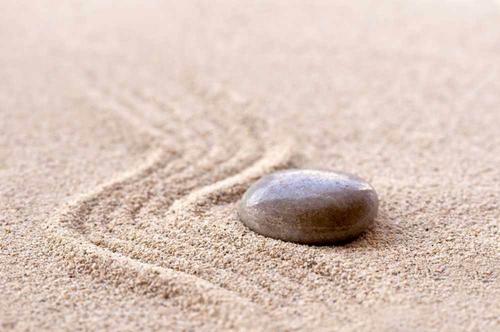 What is it about a little pebble that causes us to trip where as mountains, or bigger obstacles we seldom do. Here are a few thoughts. 1. Pebbles are harder to see. A pebble can lie on the ground innocently out of sight and suddenly without seeing it our toe catches on it and we are tripped by it and fall. We are not threatened by little things therefore we are not as careful around them. 3. Pebbles are not challenging. Mountains are majestic, and while we may be challenged to climb them, we cannot possibly step over them. We can step over a pebble. That should be simple but sometimes we become arrogant, and in our arrogance it is the pebble which trips us. 4. Pebbles are not stationary. A mountain, well that is stationary; they don't move. But pebbles can be today where they were not yesterday, therefore we can walk the same exact pathway we walked yesterday and be tripped by something that wasn't there. Pebbles can appear in places where they never were before. Most people do not stumble over the big things in life. Most relationships are not destroyed by big things. Most of us are more adversely affected by little things. Our awareness of their danger needs to increase. It is not the mountainous problems of life that cause us to stumble. It is the little things that often put us flat on our face. Watch out for the little things my friends....beware of the pebbles.